Welcome to Lady Di Cakes, your first stop for cakes in Ohio! Do you need a wedding cake by someone you can trust to do a great job? Maybe you have a birthday or anniversary coming up and you want to celebrate the special occasion with a delicious sweet treat? We specialize in cake bites, cake pops and cupcakes for any occasion; whether it's your wedding, birthday, baby shower, graduation or anything else... Lady Di Cakes is your answer! Serving our signature whipped buttercream icing and exquisitely decorated cakes in Central Ohio for over 10 years... You wouldn't want to go anywhere else. Cakes are never frozen or baked weeks in advance. We carefully limit the number of cake orders per week so meticulous detail is given to your design. Be sure to sign up to receive exclusive promotions, coupons, news on our Cakes and Cakebite pages! Don't wait — call/text 614.270.9939 or email vwills@LadyDiCakes.com for that special cake for your upcoming event! Reveals 10 Quick & Easy Ways to Save MORE MONEY . 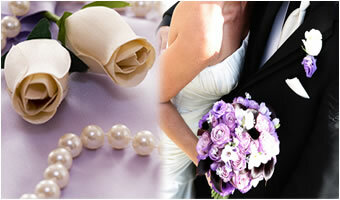 MORE TIME and have LESS STRESS When It comes to Planning Your Wedding Day! © Copyright 2013 Lady Di Cakes. All Rights Reserved.